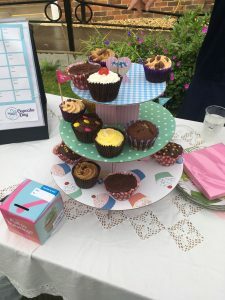 Charity fundraisers are a little like baking a cake; you can plan the recipe and the day at hand and prepare the ingredients for success, but without the warmth of the community, preparation from residents and staff and all important timing, the cake will never rise. 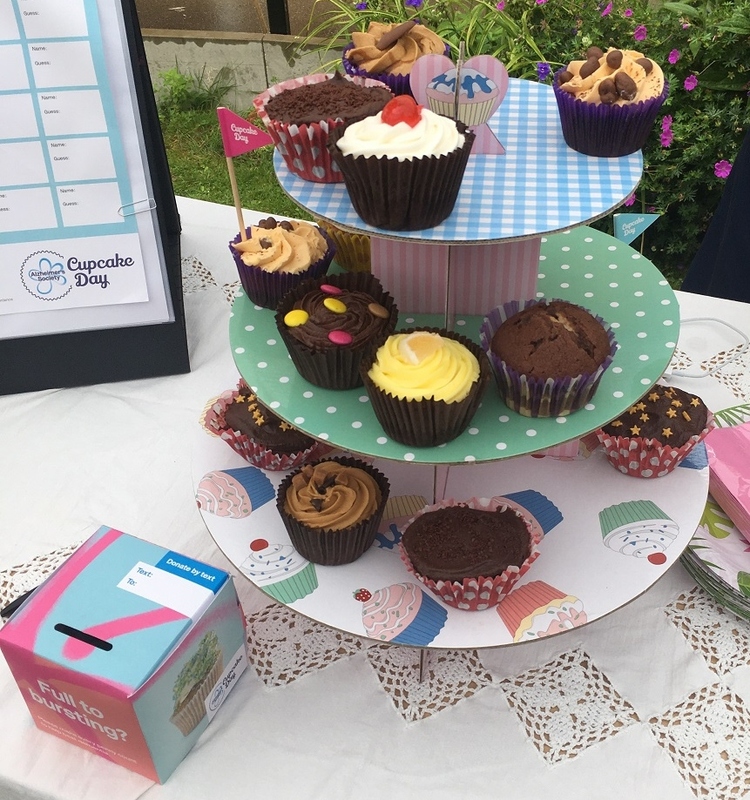 However St John’s Winchester’s recent participation in the Alzheimer’s Society Cupcake Day rose to sweet success! 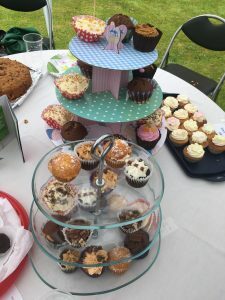 On 14th June the charity took part in the national bake sale, giving residents and staff of the almshouses and Moorside the opportunity to showcase their culinary aptitude and confectionery savvy and put their bakes to the test. A gazebo was assembled outside on the lawn of St John’s North, decked out in bunting – a welcome breath of summery fresh air despite the morning drizzle! Many residents turned out to sample the delicious wares that had been donated and baked especially for the occasion. 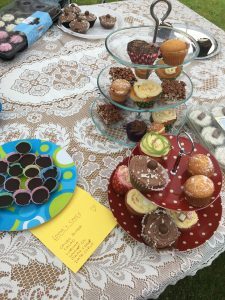 A veritable feast was on offer, with products ranging from the fluffiest sponges to the most moreish biscuits, sumptuous cupcakes to the crumbliest of flapjacks! If that didn’t tickle your (fondant) fancy, a selection of mouth-watering healthier treats catered for all palates, preferences and dietary requirements. 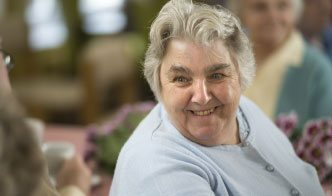 A grant total of £291.42 was raised for the Alzheimer’s Society – a huge thank you to all who donated and attended the day!